We’ve had similar issues with Apple ID, where you can only register a person over 13 or 14. I don’t want to lie about the DOB (Date of Birth), but you are forced to, to create kids’ accounts. But once you create that ID with a false DOB, and they’ve had their iPod for 2-3 years, Apple thinks they are able to see content I don’t want them to see. I have just started my own blog post about something else related that happened to my family on our XBox with FIFA coins and Microsoft Points. I’ll let you know when I have finished it. This whole issue with digital identity can be solved by a central ID service, but every organisation wants their own identity, which is counterintuitive for customers and the wider industry. (I recommend reading The Intention Economy by Doc Searls on this subject). I agree that each of these companies seek to own everything, yet it is the interaction between their systems and conflicting rules and policies, and some inept design and development that make it all a huge mess. Having the same issue with my lad on PlayStation side of things. I get why they aren’t happy with battlefield in your case with content being deemed suitable for over 18s, however for Fifa it should allow it. Origins TOS state 13+ for online interactions however, in my case, there’s a disclaimer in Ea tos that consent can be provided by account holder and that if PSN terms will take precedence if conflict with Origins. In this case PSN terms say can play online between 7 and 17 provided content is suitable for age, game is 7, my boy is 8, PlayStation blocks him from attempting to even try logging into origin. System is great idea, but implemented so poorly by not following terms of service. Yes they seem to have got the precedence of who has approval around the wrong way. They appear to be dodging any problems with responsibility. Got the same problem with my nephew’s Fifa 14 on the 360…. Can’t use EAS online to play his Ultimate team that he already has an account for. No facility to log in with existing account and absolutely no sense at all from EA on how to resolve the problem. I’ve learned to hate EA for stuff like this…. My nephew didn’t get it yet, other than a game isn’t letting him play properly. And EA wonder why they’re hated? Pretty perfect example in tacking Origin onto something (Xbox Live) that already works and making it unusable or unplayable. It seems a very short sighted to cut off the next generation of gamers rather than pay for the engineering to sort it out doesn’t it? Surely there must be something illegal about this. My 11 year old son has spent loads of Christmas and Birthday money on Fifa Points to build his ultimate team only to suddenly have it snatched away from him. Surely EA can’t take their money and then suddenly disallow them to play without refunding the money. I smell ‘FRAUD’. Something has to be done about this. Anyone got any ideas on the legalities of EA’s actions. I agree, in that case they need to do something about this. Taking money and then cutting off a service is clearly not right. I am sure they would hide behind those very long EULA that we all have to click yes on. I am in the US this wound end up as some class action. Without resorting to legal issues though I find it amazing an entertainment company is happy to take it out on the very people that will be keeping them going over the coming years. I wonder if there is a gaming friendly lawyer out there to help ? Thank you so much for posting this experience! I spent an hour today trying to figure out what the issue was after getting my son his own Battlefield soldier. After reading this I was able to solve the issue by creating a new account for him and simply putting his birth year much earlier than it was, making him older. I never would have known that’s what it was. I just spent a ton of money on a complete xbox one and controllers and the like only to regret not getting a used 360 for my kids instead. Microsoft’s outsourcing really shows. I rate their identity management on xbox one a complete fail. I had high hopes for Kinect. Maybe sanity will return and they will redux (and remove Metro interface while they are at it). I mistyped my date of birth during the registration to origin. So now my account is became a limited account. I cannot login via ea or origin website’s. I have been trying to contact ea or origin but everytime they ask me an email address and passsword. But the thing is beacause now I have a limited account I can’t login. Unless I don’t login I couldn’t send them a massage. This is insane!. I can’t play my fifa 15 online due to this. Now I found this site and saw a live chat support. But I couldn’t find this live support in anywhere. what should I do about this. I don’t like it but I have used a solution to this problem. After many months of saving and planning my 12 year old son finally got his hands on a PS4 this Xmas with Fifa 15 and was really looking forward to using Ultimate Team. He was really disappointed that PS4 wouldn’t let him access Origin which you need for FUT, because he won’t be 13 for another month. I was fuming and like other posters I do not want to have to set up an adult account on PS4 for him as I do want to exercise parental controls. The solution I have used is to set up an Origin account for him via the EA Sports website and set his year of birth to 1902. Once the account is live, log off and go back to the log on page and select log on via PSN (playstation network) which you will have from setting up the sub-account on playstation. When you do this, Origin asks if you want to link the Origin and PSN account and I selected yes. Then go back to PS4 and log on again using the sub account and when you try to access EA’s online services like FUT, you should find it works. I will just have to keep an eye on what the Origin account is used for in future. Tim, thanks for posting your solution to this. I’ve spent the best part of this evening trying to link my son’s PSN and EA Origin accounts for Plants vs Zombies Garden Warfare, and your guidance worked. Why EA’s own help page doesn’t mention the need to “log off and go back to the log on page and select log on via PSN” is beyond me (http://help.ea.com/ca/article/how-to-create-your-origin-account/). To clarify, both the PSN and EA Origin accounts had the same email address from the point of creation. However, contrary to EA’s help “Your Gamertag/PSN ID and Origin Account should be correctly linked when you first access an EA game online if you use the same email address for both”, the accounts were not linked and we continued to get errors on the PS4. Happy New Year to you (but not EA)! Spent several hours online with Support Chat in the hope of buying my kids FIFA15 for PC. But having a limited account, you are unable to login and complete the purchase. I cant use my adult account, as there is no method for transferring ownership over the kids to play. Supports solution was to go to a local retailer and buy the physical DVD, then link it to the kids account. This is a ridiculous situation. This is a seriously flawed business model EA. It is amazing that after a year this is still such an issue. I really would have thought with so many people experiencing this sort of problem EA and the others would have sorted it out. If anything it is getting worse. I guess its the fact games companies are great at games but not ever focussed on these ever evolving things around the business. I wanted to share with everyone that I also stumbled upon this limitation this evening and I had one very upset son. I read all the posts on this topic and I resolved the issue by creating a new EA Origin account (lying about the age) and using the same email address already registered with Microsoft for his xbox profile. Once I verified the email from Origin it automatically linked the accounts together and he can now play online. Here it is, 26 January 2015 and I just ran into this nightmare last night. My son has a Xbox One child account (he’s 10 y/o). On Christmas 2014, we bought him Madden 15 and when setting up, we ran into the typical EA Origin account creation nonsense. We used our email and made his Origin ID exactly the same as his XBL GT. No issues until now. He purchased Battlefield 4 with his own money, which we don’t mind him playing, and the game would just stay on this loading screen after the opening sequence. Wouldn’t go any further. We assumed the install was bad, deleted and re-installed. Same thing… I logged onto my account to check the parental settings. We allow him to play Call of Duty so it seemed weird that BF4 didn’t work. Well, I exit out of the settings and back to the game… It loads… I’m like, WTF. I made no changes to the settings. Figured it was resolved, I logout of mt GT and leave the room. Two minutes later, my son comes around puzzled because it’s back at that loading screen. I have no idea what’s going on with this game at this point. I spent the entire day on the internet searching for answers. This page was one of the many that led me to this stupid Origin ID crap. I had to download the Origin PC client and use an entirely different login from the one used during the setup of Madden 15 back on Christmas. When I logged in using the original Origin ID, the were no options to anything within the client and the “help” link just opened a drop-down menu, not a browser page. After I created an all NEW email form scratch, I used it to create an Origin ID with my birth date. Only then was I able to see a button at the top called “Friends”. I clicked on it and it gave me the option to connect to XBL or PSN and import friends. When I clicked XBL, it took me to the login screen for Microsoft. After I enter my SON’s credentials, it linked HIS gamertag to this NEW origin ID with MY birth date. Now, he can play BF4 on his XBL account with all of the parental controls intact. Only difference is now, his XBL is linked to MY Origin account. EA is consistently voted one of the worse companies in the world and stupid stuff like this is why. First, why can’t an Origin ID that is created on a console not be managed via a computer? Makes no sense that his matching Origin ID is forever lost because it was created on a console and not the website. Second, why would EA take the parental control from make and hard code into the game to check his XBL age and perma-ban his account from the game? As a dad, I allow him to play FPS games. EA is overreaching by taking that ability from me, the parent. I suggest that any one buying a game published by EA to FIRST create an Origin ID on the website using a parents birth date. This way, when you buy a game published by them, you can enter your credentials during the setup of the game on whichever console you’re on. What a massive headache this was for me to work around. Hi Joe, I am glad this helped a bit. It’s good that you have found an even better workaround to transfer the ID across. I didn’t go down that route at the time but it is interesting that is an option. So we can’t edit our own kids accounts but we can reassociate them with another origin account. Hi epredator, just wondering if you have found any other solutions to this ea problem. just wondering!! I have not spent too much more time on it. The danger was, that hacking around would lead to losing things. As EA seem to be unable to edit their own data I have just left them to figure it out, explained to the kids and their friends how a company that does games for them isn’t really able to provide what they want. So I guess they will not favour EA games in the future. Glad to see I’m not the only one who has found the EA child account implementation an absolute joke. As for the DRM – don’t get me started – I presume thats what all the strange URL’s EA origins needs my permission to access on my daughters computer account (as a responsible parent her internet access is restricted!) Most of the websites it wants access to seem to be invalid IP addresses. Seriously only one person in a household can play the game, it makes Apples family sharing seem generous, and they wonder why piracy is so rife. I haven’t see it get any better the past 2 years since I wrote this post either. Thats pretty shocking for a company the size of EA. I still find it amazing they don’t realise the kids get older, become customers themselves. My kids shy away from EA titles now. Just a few minutes ago I too was stumped to realise that I can’t decide which games my sons are allowed to play. BF4 was stuck on the loading screen without any error message. I was never asked about linking EA/Origin. Could that be because he has PvZ:GW? I don’t remember if that required account linking. It’s been way too long since that was installed. Just come off the phone from EA – basically, due to “international law” they will not let you change the birth date on any EA underaged account, unless you send them proof of age, and convince them the original DOB on the account was a typo. There other most helpful advice was (I kid you not) “wait until the account is no longer age restricted” great advice that! I wanted to thank Joe who had the same problem I did. The Mac client did the same linkage. HUGE help’! I’ve had the same problem with xbox one/Fifa 15. Spent many wasted hours on phone/chat with EA. Will just have to create a new account and start again. I am still amazed they haven’t sorted this out. Alt accounts seem to be the only way. My god. I thought I must have written this while I was sleeping last night. This sounded exactly like what happened to me over the past two days up to not being able to contact any kind of support with my apple devices. Unreal. My son is just two days into an Xbox live ID so I am going to just create him a new one with a 13 year old bday. He is 11 now so I don’t see any harm there. I could not agree more about how EA support and access is a complete failure. Could not log in with the id, and my id logged me in. Not showing the child account in my info, no way to change any settings. Awful. And then trying to get info from them was just as bad. And trying to contact service was a waste of hours. Funny thing is that my son was able to play nhl 16 but not Star Wars battlefront (online play). That through me for a loop for a while thinking something was wrong with the game. But I created an account for my wife and after signing her into Origin she was able to access online play. Leaving only the age to be the difference. (I thought it might be that every member of the house needed the special “EA access” pass to play games online). Again at this moment I don’t feel like wasting any more time with trying to contact EA support. I am just going to create a 13 year old Xbox live account and email and go from there. It seems like this is the least time wasting option. Having the same issue at the moment. I had no idea we had to create an EA account when he loaded StarWars Battlefront. Okay, no problem, created an account for him, got an email verifying underage account and thought all was good. How wrong was I. Nope can’t play the game online with his cousins (who are younger then he is). So I figure I will log in via my iPad, no my email and my password don’t match WFT!! So i click reset password, wait for a new password and get nothing! Only thing I’v received was the first verification email. So I set up my own stupid Origin/EA account. Now I have to figure out how to get him to use that account. 40minutes and counting waiting for chat to stet (5-10 minutes to go). Worst part is I am HOPELESS at using Xbox – i hate the damn device. Counting to 10 before I scream again in frustration. Thanks Joe – nearly a year later, I used your work around after almost losing the will to live! My hell started with Trials Fusion and now StarWars Battlefront but thanks to you it’s all sorted! I’ve been going out of my mind for five days trying to figure this out. In the end I think it was the fact that I never linked my kids Origin accounts to their Xbox Live accounts. You need to use the Origin application for PC and go through the process of adding a friend via Xbox Live to link the accounts. Once I did that both of my sons accounts were able to access the online features of Battlefront. I had been getting a “You are not authorized to use online features” error or something similar to that. All fixed now. I hope this solution works for some of you other parents out there who have been going out of their minds trying to figure out how to get an “EA” Christmas gift to work properly for your kids. Good Luck! I have been trying to resolve this issue for a while now, I have tried to link my two boys through the Origin application on a PC but it fails. When I go through the process of adding a friend via Xbox Live to link the accounts, my friends list contains two people I don’t even know and have never added to my friends list. The friends I do have on my Xbox don’t even show up in that list. Frustrated is an understatement. I HATE EA for this! With 3 boys, an Xbox 360, and now an Xbox One, I’ve been dealing with it for years. NO EXCUSE for them to not have fixed it already. Will SOMEBODY please come up with better games than EA (and better policies) so I NEVER have to give EA another penny!!! Owen, when you say “link my two boys through the Origin application” do you mean that you hit the button to “Import Friends” by connecting to Xbox Live or did you attempt to do so some other way like using the “Search for Friends” tool? On a related note – I made sure that my sons birthdays matched between the Xbox Live, Microsoft and Origin accounts and that they showed that the boys were of proper age to access the online features (>13). You can change the birthday on the Microsoft account if by chance you had made a mistake when you first entered it. Also, if you haven’t yet linked the Origin account to the Xbox Live account, you still have the ability to create a new Origin account with your child’s correct birthday if you made an error when you entered it previously. I think I’ve just hit this problem as well. I can log into Battlefront with my Xbox profile and EA account. I can then play with my son who has a child’s profile. I seem to have made the mistake of being honest. Because Battlefront is PEGI 16 it prevents him logging into his EA account … which means we can still play but get hassled with “you should login” popups which we can’t get rid off. I don’t really care if he can’t login but the user experience is nasty if you don’t. There really needs to be a “don’t ask me to login again”. I changed the date of birth on the EA account to make him the same age as me but that still doesn’t work. So it appears EA is refusing the login based on the Xbox profile date of birth. The easy solution is to not use a kids account on the Xbox but this seems a ridiculous solution to something Microsoft and EA need to sort out. If the Xbox is allowing a player to access the game with an adult logged in then EA should respect that chain of command. I want to say thank you to Joe who provided this nice workaround here. This way my son was able to keep his Xbox Gamertag by associating it with a new EA Origin account. He only had to lose the data he had for a couple of other EA games which was acceptable, especially compared to creating a completely new Xbox account and losing all data. Here is the solution step by step. 1. Create a new EA Origin account for your child at http://www.origin.com where you set the child’s age to something adult. 2. 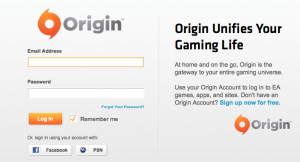 Download and install the Origin program for PC or Mac (both work). 3. Login with the newly created account. 4. In the top menu bar click on Friends and then on Add a friend. 5. Click connect next to the Xbox (or Playstation) symbol to add friends. For Xbox you will then be sent to a Microsoft login page where you login with your child’s Xbox account. Done. 6. If you want to check you can go back to the Account page, update it by clicking on About me. If you scroll down a little you should see Connected Accounts. With this solution you don’t have to change your child’s age on the Xbox account. Once again, big thanks to Joe for finding this workaround. I was able to follow the suggested process to fix my sons gamertag being stuck to an EA child account. It seems since this was the first time his gamertag was going to be used with an EA game, it never properly connected to the servers to finish the initialization because of the error within the Star Wars game saying “cannot access online services.” I tried using the Origin PC application and add his xbox account to my origin account via the find friends work around, but that kept giving me a server error. My fix was to download the FIFA16 demo onto my xbox one. The I signed into my son’s gamertag. Then I launched the game and connected to the ea servers, which prompted a message to accept terms. I them went into the EA account settings from within the game. It clearly stated it was a child account with my email address listed as the parent. 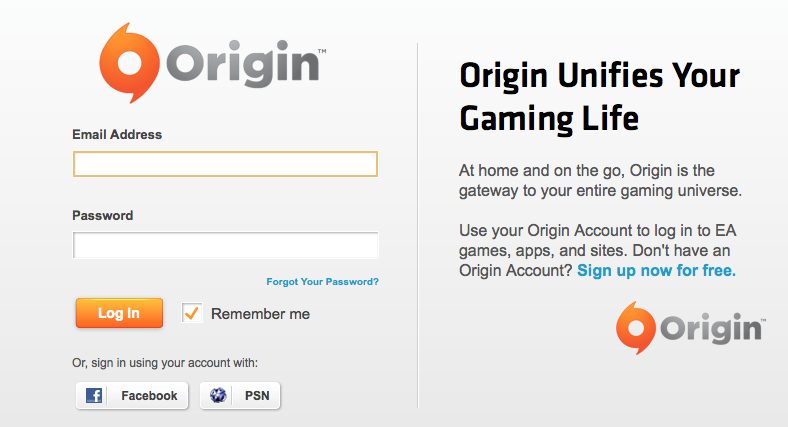 Then I launched the origin PC application again and signed into my account. I tried the add friend workaround and logged in to my son’s Microsoft account and to my surprise, this time I got the no friends message and no longer received the server error message. I signed out and back in to his account on the xbox one and launched the Star Wars game, viola, it connected and gave him access to the multiplayer. So if you are getting a server error using the add friends work around from the origin PC application, try downloading the FIFA16 demo and logging them in, then try the add friends workaround again and see if it works. My son is happy as can be! Thanks to everyone and good luck to everyone else having problems! That is good news, I am glad that the post and in particular the comments have helped. I still and really amazed that EA are persisting with this odd policy. This has been such a well trafficked post I am surprised it does not show up on the CEO’s email each day 🙂 As I have said before I fully agree with protection for kids, but sensible parental control should override any of that really. Thank you everyone for sharing what works to get us around this rather silly tech policy. So glad I found this blog and the steps from Fredrik were spot on. There will be one happy 12 year old this evening. Also had a similar issue with The Division but opening a Uplay account and ensuring his account was linked to that did the job too. A big thank-you to Tim Cotton and Fredrik Carlsson (and, of course, epredator); I finally have been able to allow my son to play Battlefield. The original post was nearly 3 years ago and this is still an issue. Absolutely no help going through EA Help. Damn it, old post but so relevant still. Wish I’d read this before!!! Not sure what to do at the moment, as son will not want to lose the EA data he has built up (currently in progress on FIFA). Thanks for all the info though guys, decisions, decisions..
Hi All, Just reading through this post and see I was not the only one….. my daughter has her own (child) origin account. She had bought her own Sims 4 game (pc) and now wanted to buy some add-ons which are currently selling at half price After calling the EA helpdesk they basically told me it is not possible for me to buy on my account and transfer to hers….. All the above solutions are for xbox but what about PC games? Anyone been successful in been able to add a game to the child account bought on another? I could not buy as gift as her account is not ‘findable’…. Much appreciated!! For to mention I tried adding her as friend to my acount, but it is not findable. Seems to only work with xbox accounts? thanks!